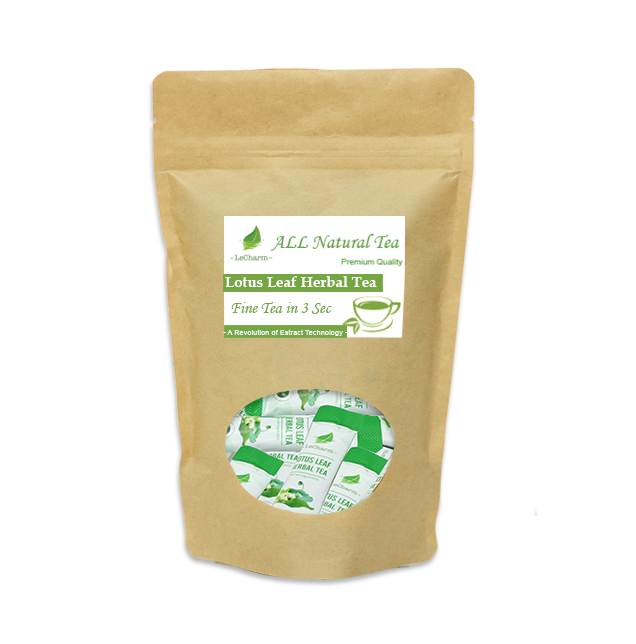 The Lotus Leaf Herbal Tea is free from caffeine, making it the most relaxing drink. Great care was placed in combining substances that mend without exciting your cells. 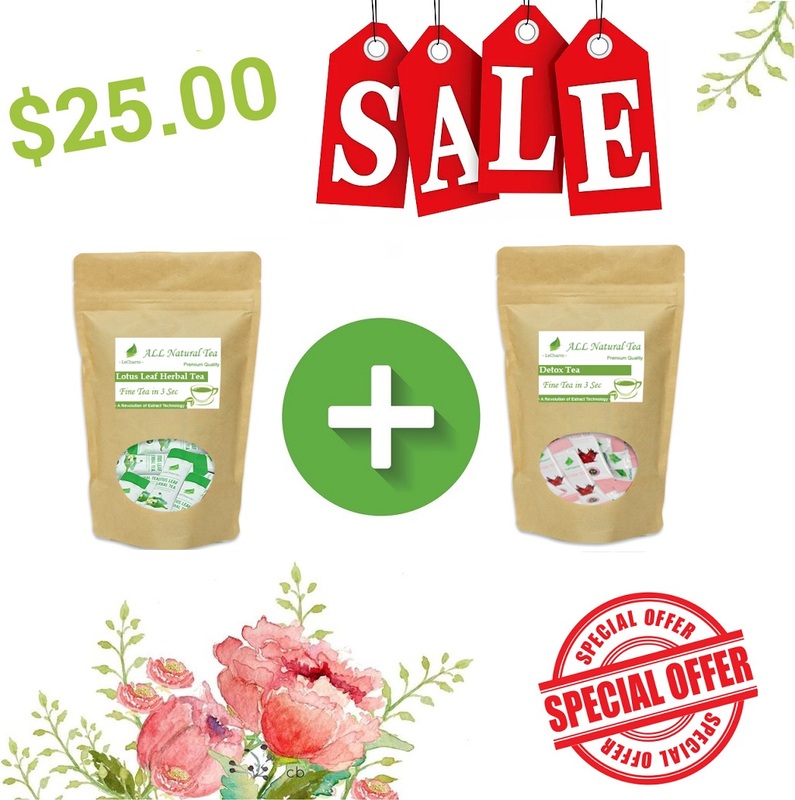 It is an infusion of herbs that focuses on peace and wellbeing: your breathing will be clear and strong, your blood will flow freely, your body will feel cleansed, and so your spirit will be refreshed. It is like meditating, but with the activity delivered right through every drop. The leafy overtones wrap around your taste buds—practically inducing a numbing effect that grows stronger with every moment. It is used as a traditional Chinese medicine to be the supplement for the digestive and circulatory systems that help to reduce muscle spasms. The considerate blend of herbs contains rich fibers and carefully cleans your body: lotus leaf relieves your digestion, mulberry leaves are rich in fiber which come from various minerals and extracts, such as beta-carotene, GABA-1, amino acids, carotenoids, flavonoids, chlorophyll, vitamin C, B1, B2, B6, A., the flowering chrysanthemum dampens your blood pressure and focuses your vision, and the monk fruit moistens your throat. 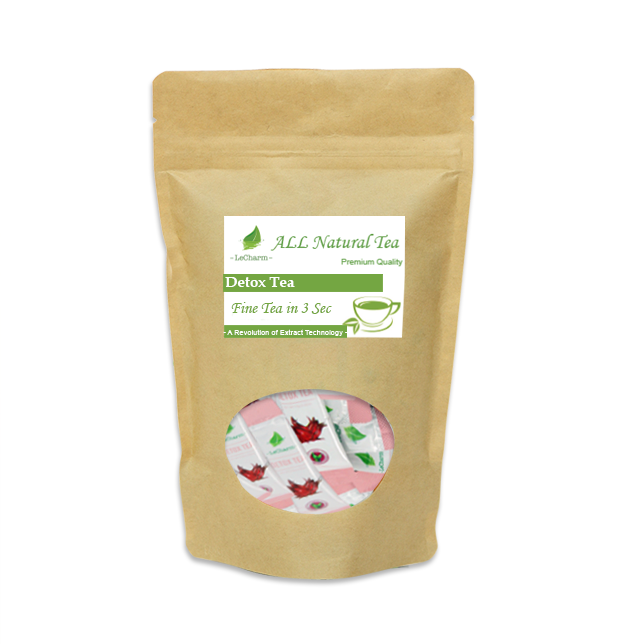 Detox Tea is a delicious reset button for your body. It is designed with all the right ingredients for an incredible feeling of rejuvenation. This tea is unmatched when it comes to purifying the body, and drinking it will make you feel like a brand new person—free and clean inside. The hibiscus flowers and roses used to create this mixture give the tea a deep crimson hue. Sourness and acidity hit the tongue straight away, and the softening aftertaste of the natural stevia sweetener lingers afterward. The contrast is exhilarating, and that same rush of taste will surge throughout your body as the detoxifying effect takes hold. The hibiscus flowers extract provides the bulk of the detoxifying properties, and is also high in vitamin C. It also contains rich minerals and various antioxidants that assist in breaking down body fat. The addition of rose enhances blood circulation and reinforces the endocrine system, allowing the tea to improve the quality of the entire body. Black tea and stevia then work together to slow sugar absorption so that accelerates body detoxification and promote better skin.